Mr. Mejia specializes in corporate law, mergers and acquisitions, and business law. He serves on the Utah State Bar Examiner Committee (Business Entities). 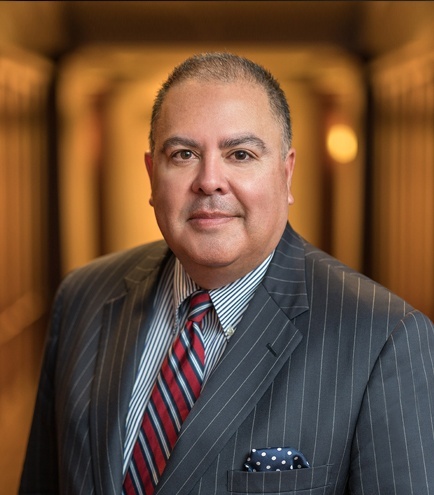 Mr. Mejia is recognized as one of Utah's Legal Elite for Corporate law and Mergers and Acquisitions, and as a Mountain States Super Lawyer for Corporate law. Issuer’s counsel on $72,760,000 Tax‑Exempt Telecommunications Revenue and Refunding Bond Transaction. Co-Counsel in defense of transportation broker in $100,000,000 class action lawsuit in California state court, alleging misclassification. Lead counsel in defense of companies in $153,000,000 lawsuit by the Federal Trade Commission in California federal court, alleging cramming violations. Local counsel for borrower in C$105,000,000 loan transaction. Local counsel for borrower in C$120,000,000 loan transaction. Local counsel for borrower in C$165,000,000 loan transaction. Assisted in $505,000,000 radio industry asset purchase.